SELLER SAYS BRING AN OFFER!! 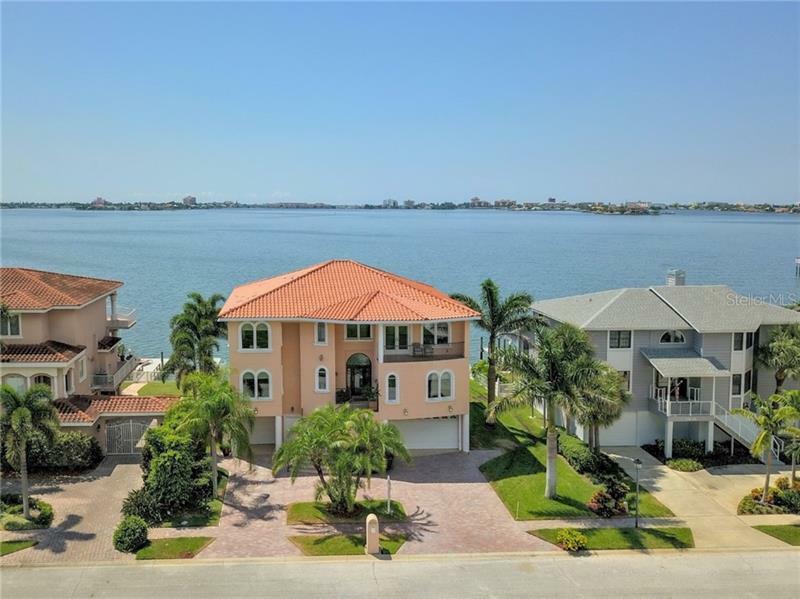 Exquisite ALL BLOCK newer home with wonderful sunset views!!! As you enter this well constructed home you will be awed by the attention to detail. From the insulated concrete forms which were used for all exterior walls to the custom hurricane impact Miami-Dade rated windows this is truly a storm proof structure. Main living area has an open floor plan with a great room and a large kitchen/dining area. The kitchen has all custom made cabinets and top of the line appliances including dishwasher drawers. Enjoy the open water views from picture window in dining/ kitchen area. Off the great room is a lanai with more grand views and new Jenn Air cook top for grilling!! On this level there are 2 bedrooms and baths. On 2nd level which is also poured concrete are 2 master suites. Ownerâs suite features another large window for spectacular water views and 2 walk in closets. The second master is also an oversized bedroom with waterfront views a large walk in closet and bath. This bedroom also offers a porch to enjoy overlooking the pool and bay. On this level there are 2 more bedrooms and additional full bath. Floors on 2nd level are all Canadian hickory hardwood; and doors and trim solid ash. Additional features of the home include an elevator four AC zones including one in the Attic to control moisture; pool that is completely titled dock with 16000 lb lift generator and so much more. Located in gated community of Pasadena Yacht and Country Club offering many amenities.